Browsing articles in "Money Matters"
The e-Commerce is completely dependent on the internet. As more and more people in the country are getting connected to the internet, the sector is getting a huge shot in the arm. 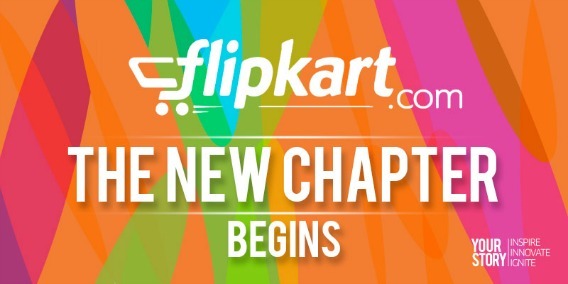 The year 2014, India’s largest consumer e-commerce company Flipkart.com has announced that it hit more than $1 billion revenue and has a customer base of over 2.6 crore registered users. Flipkart offers a different number of ways through which online retailers can sell product online easily. Therefore, there is tremendous business opportunity for those who want sell product online. With Flipkart, retailers can sales product categories such as book, electronic goods, beauty & health care, gaming, home & kitchen, mobile phones & accessories, computers, refrigerators, personal care, hair care etc. The worldwide leader in software, services and solutions that help people and businesses realize their full potential, Microsoft has announced the launch of its new online search program, named as Live Search Cashback, offering ad-funded cash rebates to customers who search and purchase their favorite products via the new program that currently only available to US consumers. A lot of bloggers or webmasters use United States based advertising network to earn extra revenue from blogs or websites. Some of the ads companies pay via electronic method using payment gateway such as Paypal or direct deposit, while some others, such as AdBrite and Tribal Fusion, pay by check only, especially to non-US international publishers. AdSense publishers who login to the accounts to check out the reports on money or revenue that they have earned will probably get shock of their life. Impressions, clicks, CTR rate and earnings seem to be not moving, not been updated, static, or lower than way of the mark. The stats looked not been updated even you log in after few hours. The same issue happens on Google AdWords account where summary pages doesn’t update for several hours. However, there is no cause for panic or consent, as the problem lies on Google AdWords or Google AdSense service. Well, ok, it’s not free actually. That’s the money that you have paid to the oligopolies in credit cards industry. But if you had traveled overseas to international destinations and used your credit card, or have made any foreign transaction (either purchase, cash advance, cash withdrawal, online Internet transaction and any other transactions including non-US ATMs and foreign merchants in U.S) in a foreign currency (or US dollar with additional amount charged for foreign merchant) on a United State-issued Visa-, MasterCard- or Diners Club-branded credit, charge, debit or ATM card at any time from February 1, 1996 to November 8, 2006, then you can claim some refund of money that you had paid without knowing from your issuing banks and credit card payment processors. Akatoo is another Wikipedia or Yahoo! Answer wannabe, with a monetary reward programs. In essence, Akatoo is much more similar to Experts-Exchange with much broader topics coverage and focus. Experts-Exchange, which meant for Information Technology professionals, rewards points for answering questions asked by users, which can be redeemed for premium user account, while in Akatoo, users can win a variety or prizes. Google AdSense Ads Allowed on The Pirate Bay P2P File Sharing Site? 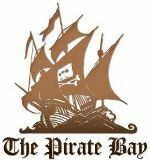 One thing one least expected to see on ThePirateBay, one of the most popular P2P (peer-to-peer) file sharing site that indexes millions of .torrents files it tracks which mostly point to unlicensed copies of copyrighted material, is probably Google AdSense ads. Google AdSense advertising network is known for strict enforcement of its program policies, which ThePirateBay will definitely violate. In fact, ComScore recorded sequential drop and decline in the number of paid clicks in January 2008 which partly due to Google’s own quality initiatives. The free things or freebies are hard to come by nowadays after dotcom bubble busted, especially when users not only can use the service for free, and also receive payment or cold hard cash simply by using the service. Shareapic is a free online photo and image hosting and sharing service that allows users to upload their favorite to Shareapic servers. The best thing is, Shareapic not only is free, but also pays money for sharing the images.